Whatever’s happening, God sees your heart, and it’s your heart He cares about. You don’t need to prepare your heart for prayer. You are a living prayer, just as you are. Loved, understood — valued and precious. Jesus whispers, “I understand.” He slips his hand into yours. May this love note for your soul calm and soothe you, wherever this day finds you. You are safe in the arms of love. Even flowers need watering. How much more valuable are you to our Heavenly Father?! You are really worth taking care of. Find your spark again! Let’s help each other! I’d love to cheer you on. So, I decided to start a special series of soul care challenges for us! 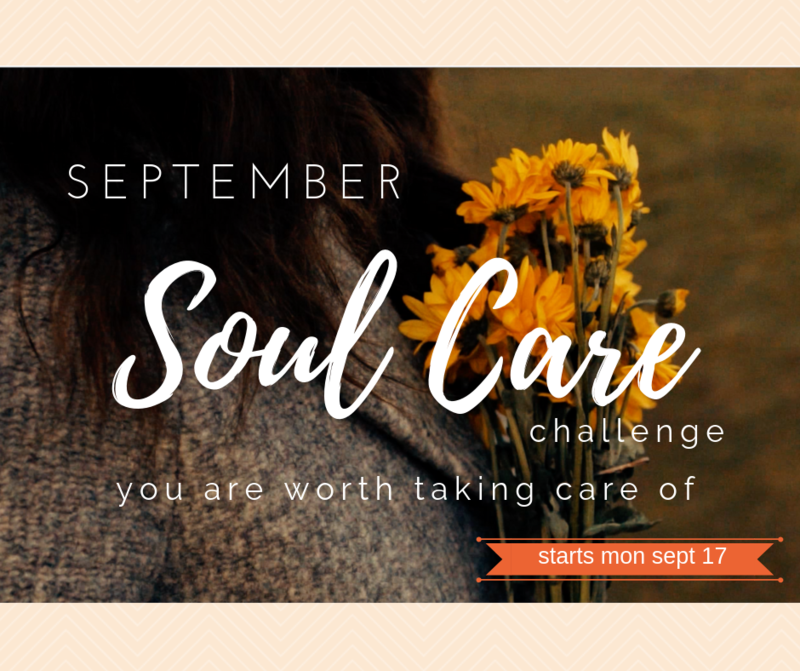 We start next Monday’s 9/17/18 kickoff to our September #soulcarechallenge! Where: Takes place on my Instagram (click here) and my Facebook Page (click here). 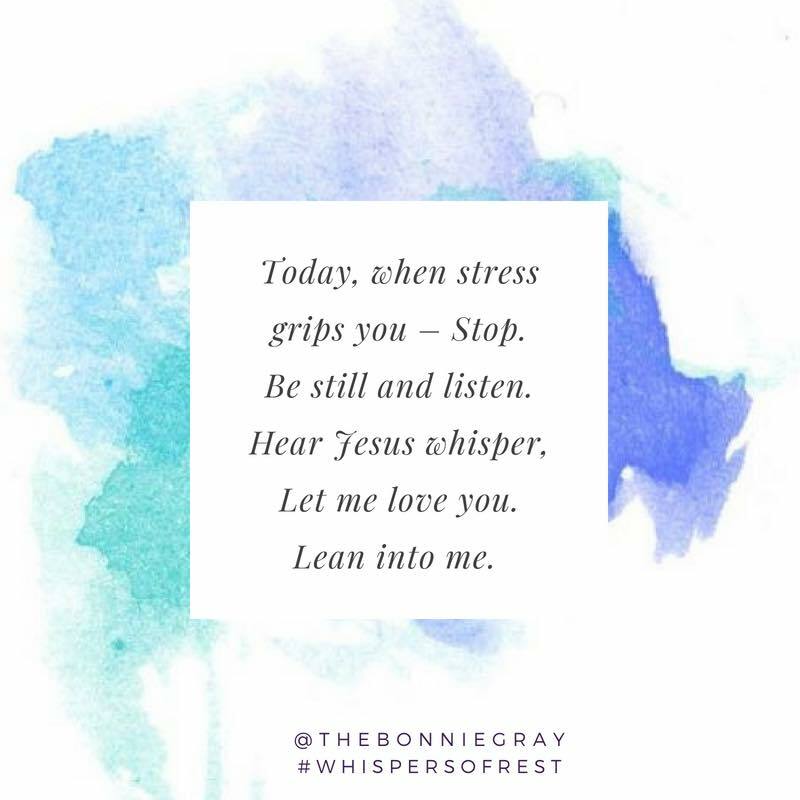 Follow me @TheBonnieGray. What: Every Monday, I’ll post a soul care tip for you to do during the week. These tips will boost your mood and spark joy, based on scientific research and how God created us emotional and biologically. 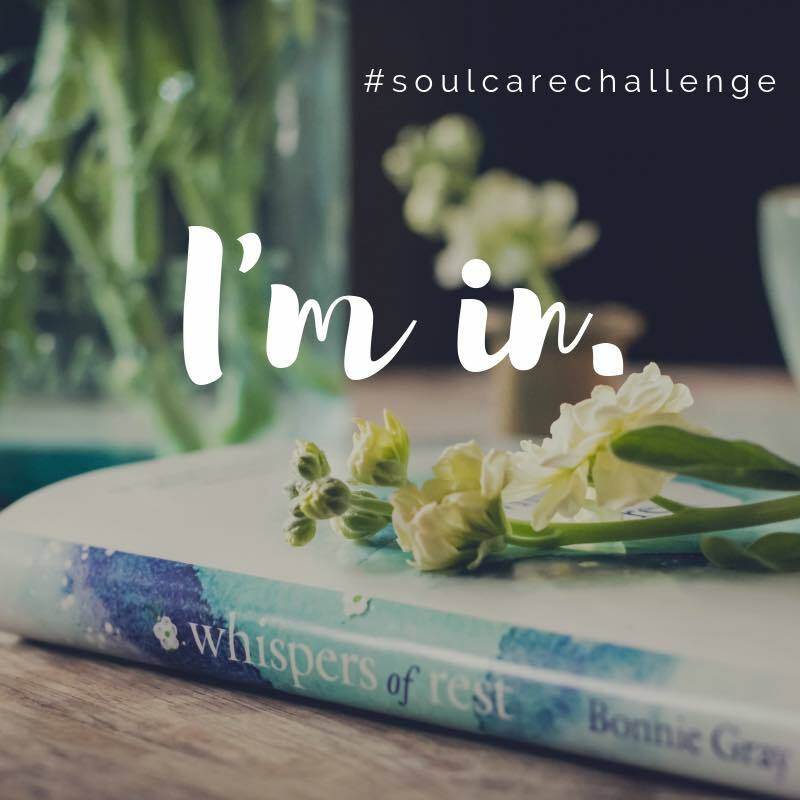 As you do a soul care tip, post photos to share with our community on social media using hashtags #soulcarechallenge #whispersofrest so we can cheer each other on! Who is a friend who you want to encourage and say — You’re worth it! Share this email with your friends! That’s what friends are for. 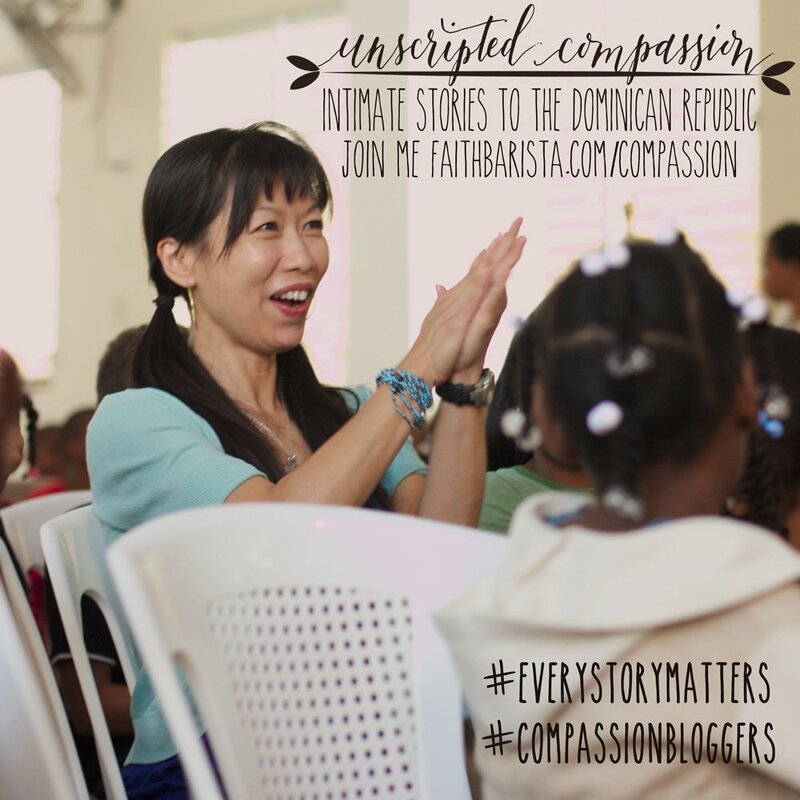 We watch out for each other and say: your well-being is so important to God and to me. 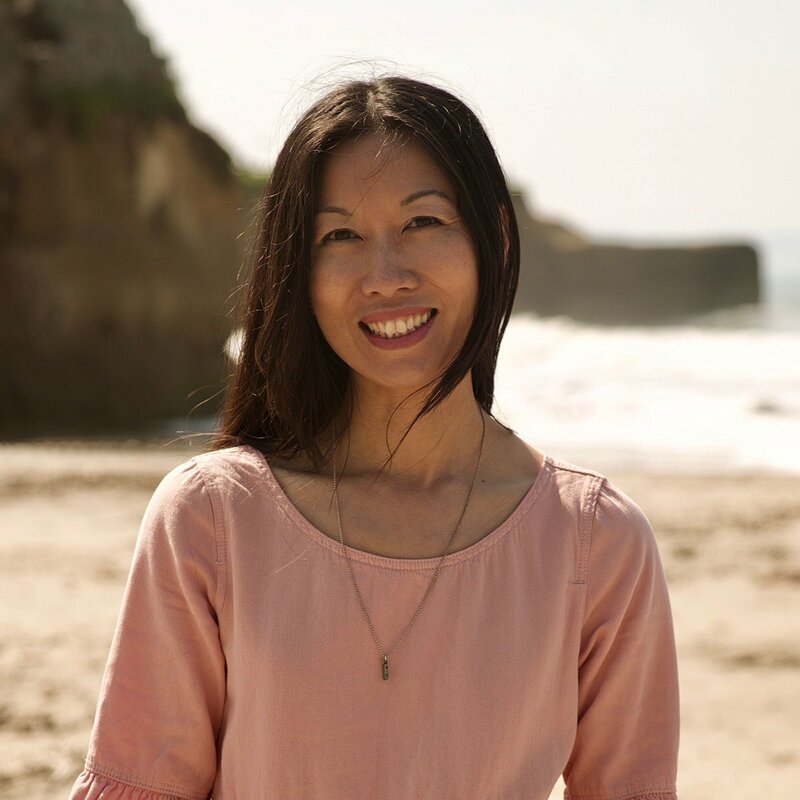 I’ll cheer you on, with gems that really work learned from my journey to boost my mood, spirit, & body from stress and anxiety! Science plus God’s Word, you can’t beat that! Refresh your heart. 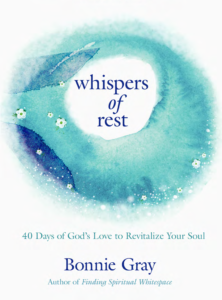 Get a copy of my book Whispers of Rest to really soak in the inspiration for this challenge! 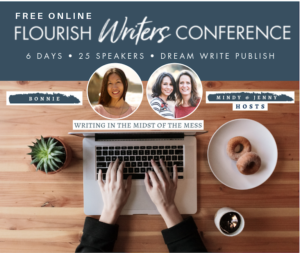 Today, author Kelly Balarie invited me to talk on The Journey Together Summit about dealing with the stresses of life. Discover how to restore your soul and revitalize your walk with God. Don’t miss the free video session. I am confident your heart will feel revived and encouraged! Click here to get more info and sign up. 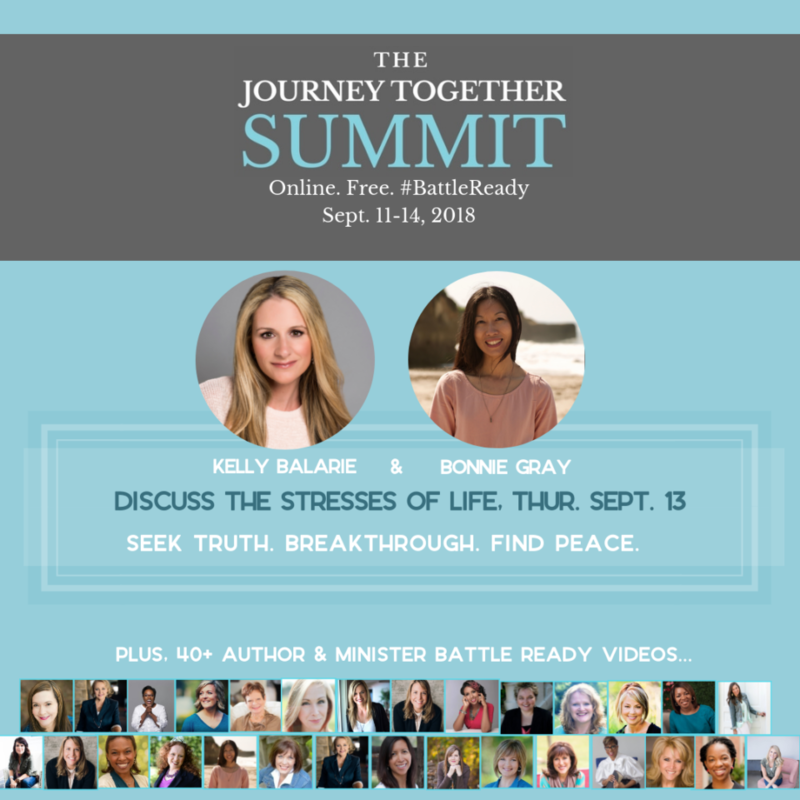 There are 40+ speakers/aiuthors as talk about the theme of being battle ready, from Kelly’s new book. The General Sessions (40+ videos) are FREE. Then, the Practical Application sessions are for those who get the upgrade passes, to watch all videos in archive. Lemme know if you end up enjoying it — I’d love to hear how it encourages you. Remember, you are loved. Cherished. Worth it. Just rest. 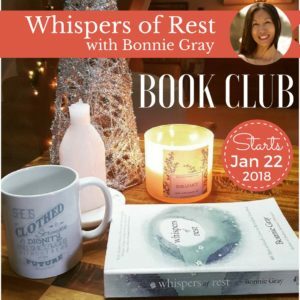 Remember to have a copy of Whispers of Rest ready. It’ll really be fun to do this, taking better care of you, just one week at a time. Action-oriented soul care with God!